College bars have a feel. Whether it’s the sound of gleeful camaraderie or smell of spilled Labatt and Lemon Drop shots settled in floor planks, visitors can usually walk into these joints blindfolded and determine its designation within seconds. Case in point: The blue-hair of Buffalo’s University District, The Steer Saloon & Restaurant. Enter the decades-old barroom with your eyes closed and the loud student chatter, Vampire Weekend tracks and shouted orders of Irish Car Bombs will provide a quick reveal. 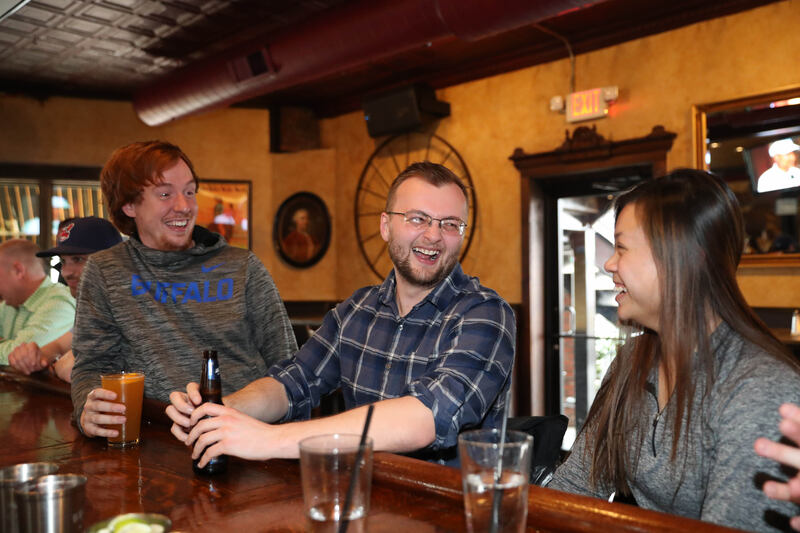 It’s been a favorite for University at Buffalo students for hundreds of semesters, and dependent on the time, patrons can stroll through the entrance and expect the type of inebriated exuberance associated with any college bar on Earth. But with the Steer, there’s more to meet the eyes. Folded into your average university drinkers’ bastion is a casual dining standard that’s satisfied neighborhood residents and students for 50 years. Complete with an ambitious lunch, dinner and bar menu, bustling open kitchen and torch-illuminated outdoor seating rising over its Main Street drag, the Steer continues to enjoy an impressively hybrid existence. Lamb steaks ($26) exist alongside more college-budget fare like burgers and wood-fired pizzas ($11 to $16). Takes on Prohibition-era cocktails like the Sidecar and Rum Punch are poured in rotation with 20 different drafts—including built-for-speed selections like Rolling Rock. Neighborhood residents, singles and families intermix with a boisterous student population that’s made the cattle-themed locale its South Campus headquarters for generations, and on any given date, all of these elements continue to surprisingly coexist. Take a recent early evening, arriving on the heels of the kind of abnormally warm spring day that thrusts every Buffalonian outdoors—and provides ample opportunity for cabin fever-addled students to engage in their first outdoor day-drinking session in months, then hit the town. In the barroom, baseball jersey-clad patrons lined spots around the Steer’s encircling bar, and crushed bottles of Labatt alongside down-bar orders of deliciously tart pints of Brooklyn Bel Air Sour ($6). The NCAA Final Four played on all six overhead televisions, and between dramatic on-court sequences, frat and sorority types happily traded shots and bro hugs between crunch-time buckets by Auburn and Virginia. 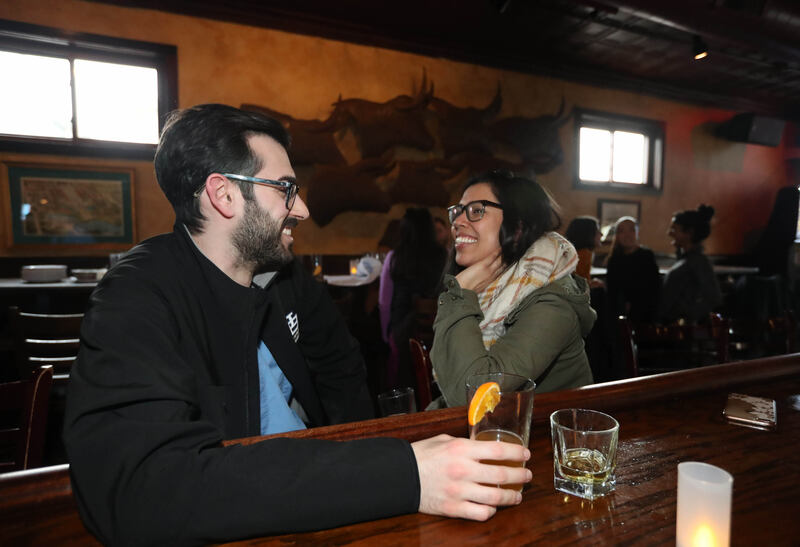 But while the University District’s collection of upperclassmen and downstate transplants celebrated in short sleeves and sandals, the Steer’s kitchen and bar staff continued to cater to older patrons intermixed in the barroom, and families seated in the expansive back dining room. Orders of maple-glazed salmon and grilled asparagus ($22) were served to a couple dining amid nearby shots of tequila and sugar-rimmed cocktails; and the restaurant’s wood-fired oven and hustling kitchen staff churned in the backdrop of an end-of-semester exhale that personified the locale’s enduring dichotomy. It’s not an easy balance. 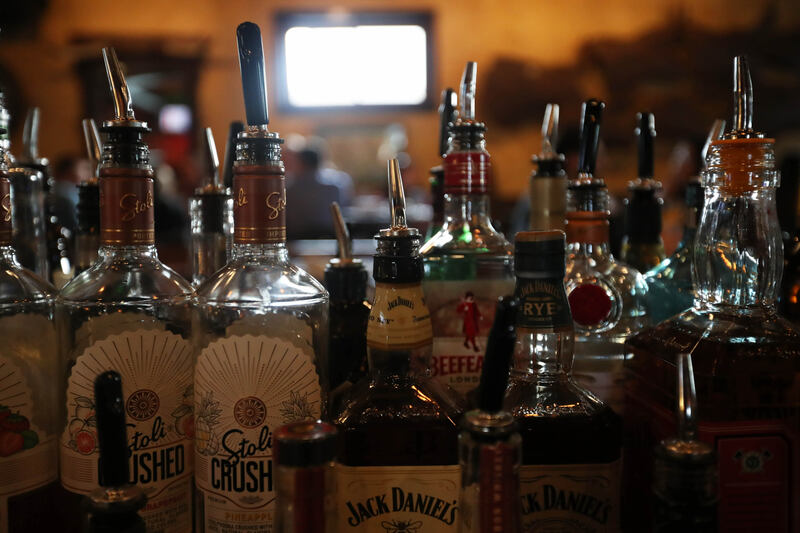 College bars have earned their depiction as freewheeling dens of elated debauchery, so it seems counterintuitive for a locale of this designation to lead such a chameleonic existence. Five decades of the Steer reveals otherwise—and by catering to all sectors of its diversified clientele, it’s equipped to serve up decades more. Hours: 11 a.m. to 4 a.m. Monday through Sunday. Scene: University District favorite that’s part college bar, part casual dining, and all conducive for neighborhood denizens down for a few drinks. Horns up: The UB loyalist locale features plenty of cattle-related ambiance, from mounted artwork, steer heads and horns. Moonlight on Main: Locale offers outdoor dining and drinks on two levels, flanked by flaming torches. Parking: Side lot and street spots. Don’t forget to: Play the Hook and Ring game, swinging in the bar’s front corner. Michael Farrell – Buffalo News contributor Michael Farrell is a freelance writer, novelist, and graduate of St. Bonaventure University.